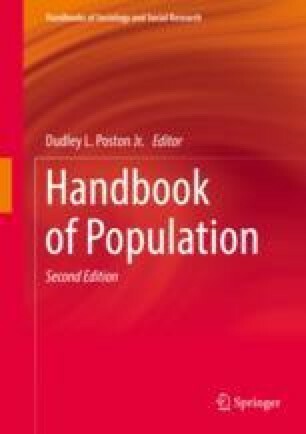 This chapter reviews and explores the use of demographic ideas, models and data in the study of organizations, products and corporations. The chapter discusses four different frameworks analysts use to study these topics, but concentrates on internal organizational demography and corporate demography, as these are more active areas. Within corporate demography, attention is focused on theoretical models of inertia/change, age-dependent mortality, density dependence, resource partitioning and competition. Contributions have been both theoretical and empirical and show notable cumulativity over time. The domains of organization, products and corporations show many opportunities for demographers to apply and extend their analyses of populations and life events. Greve, H.R., and Rao, H. (2017). Disasters and community resilience: Spanish flu and the formation of retail cooperatives in Norway. Academy of Management Journal, doi: https://doi.org/10.5465/amj.2016.0054.